Notes: The best accelerator you can possibly get into. Need we say more? 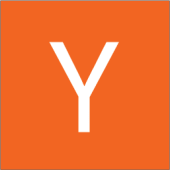 Y Combinator is widely considered the world's best startup accelerator. Indian startups Marketfox, Razorpay, HackerRank and International startups Dropbox, Airbnb, Stripe are among the 1500+ companies that have gone through YC. Twice a year we invest a small amount of money ($120k) in a large number of startups (recently 105). The number 1 reason why companies don't get into YC is because they don't apply. One of the things YC is very particular about is having no prerequisites. We have taken companies that haven't been incorporated to companies with $40M revenue run rates and everything in between. YC demo day brings together the best early stage investors to the best Series A / B investors, and the YC alumni community has billion dollar companies to companies that are just starting. There really isn't a company that is too early or too late for YC. If you want to apply, please submit your application online by 8 pm PT on October 3. Groups that submit early have a small advantage because we have more time to read their applications. On October 24, by 10PM, we’ll invite the groups that seem most promising to meet us in Mountain View in early November. We’ll reimburse reasonable travel expenses. We decide who to fund after each day of interviews. Probably the biggest thing people don’t understand about the process is the importance of expressing yourself clearly. Every year we get some applications that are obviously good, some that are obviously bad, and in the middle a huge number where we just can’t tell. The idea seems kind of promising, but it’s not explained well enough for us to understand it. The founders seem like they might be good, but we don’t get a clear enough picture of them to say for sure. The best answers are the most matter of fact. It’s a mistake to use marketing-speak to make your idea sound more exciting. We’re immune to marketing-speak; to us it’s just noise. In the video please introduce yourselves, explain what you’re doing and why, and tell us anything else you want to about the founders or the project. Akash Sinha S17 Bangalore CB Profile Next-Gen digital payments provider for India. Guna Kakulapati S17 Bangalore CB Profile AI dermatologist for India. Abhishek Anand S17 Bangalore CB Profile Hiring Software for India. S17 New Delhi CB Profile Recurring payments solution for businesses in India. Quijano Flores S17 Bangalore CB Profile NextDrop is the water marketplace for urban India. We connect water buyers with suppliers. Kunal Sangwan S17 Mumbai CB Profile App for Indians to make investments in mutual funds, manage their investment portfolios, and save for retirement. Pranay Shrivastava S17 Bangalore CB Profile WheelStreet is a Motorbike rental marketplace that connects motorcycle rental vendors in India with riders. W17 Bangalore CB Profile Marketing automation platform optimized for mobile and web. Prathamesh Juvatkar W17 San Francisco, California CB Profile Easy to use Machine Learning API. Arvind Singh W17 Bangalore CB Profile Bicycle AI provides customer support as a service (Machine + Human Intelligence). Anubhav Deep W17 New Delhi CB Profile ServX is India's premier mobile app for auto repairs. Karan Lakshman W17 Bangalore CB Profile Building largest and affordable wireless ISP in India. Akshay Lal W17 Bangalore CB Profile Mechanical Turk for enterprises. Gaurang Shah W17 Mumbai CB Profile Bulk MRO is the Alibaba for Enterprises in India. Sindhuja Jeyabal W17 San Francisco, California CB Profile Empower parents of any literacy level to get their child ready for kindergarten. Harshit Vaishnav W17 Bangalore CB Profile Credy is an online platform for P2P lending, backed by biometric ID and leveraging India's latest digital infrastructure. DocTalk Akshat Goenka W17 Mumbai CB Profile Paid WhatsApp connecting Indian patients to Indian doctors. Shailesh Gupta S16 New Delhi CB Profile Co-working offices to startups, freelancers and SMEs in India. Sanjeev Barnwal S16 Bangalore CB Profile Meesho is the simplest way for Indie sellers in India to setup, manage and grow their business on Facebook and WhatsApp. S16 Bangalore CB Profile Airbnb for cars in India. Sanjay K Agarwalla W16 New Delhi CB Profile Online marketplace for Indian agriculture. SHRI Anoop Jain W16 Bihar CB Profile Sanitation and Health Rights. Abhay Tamaria S15 New Delhi CB Profile A modern online payment gateway for India. Vamsi Gullapalli S15 Chennai CB Profile Portfolio tracking for Indian investments. Srinivas Reddy S15 Santa Clara, California CB Profile Autonomous / self driving / driverless shuttles for in-campus travel. W15 Bangalore CB Profile A modern online payment gateway for India. Zip Phone S14 CB Profile Whatsapp for voice. ClearTax Archit Gupta W14 New Delhi CB Profile Income Tax efiling in India. Michael Ricordeau S12 San Francisco, California CB Profile APIs for Voice calls and SMS. Avinash Pandey W12 Menlo Park, California CB Profile Educational applications for touch-screen devices. Harishankaran Karunanidhi S11 Bangalore CB Profile Hire the Best Engineers. This page was last modified on 25 March 2018, at 05:55.